The Sad (?) 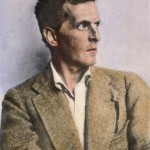 Insight of Ludwig Wittgenstein – Constable BV. Next Next post: Why is Western Civilization so Extreme Violent?